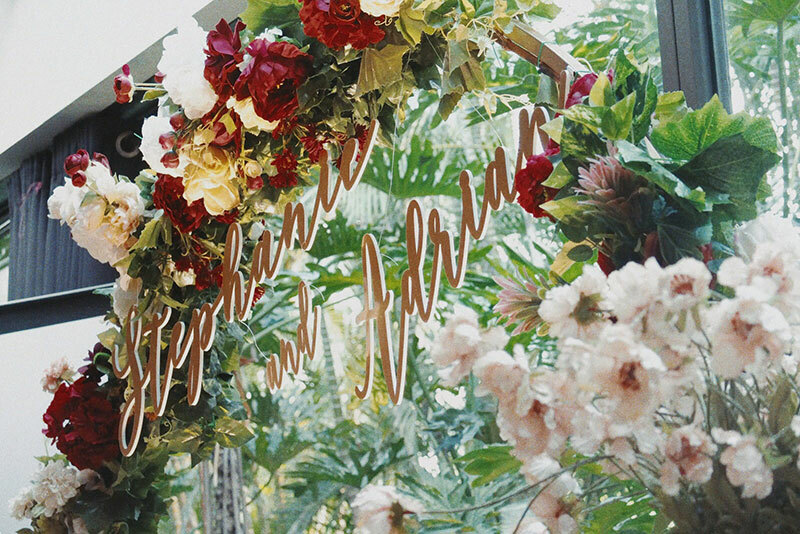 Seeing couples framed by a beautiful floral arch just makes everything about their union so dreamy and picturesque. It’s as if a halo surrounds the newly-weds, radiating all the love that overflows from them. 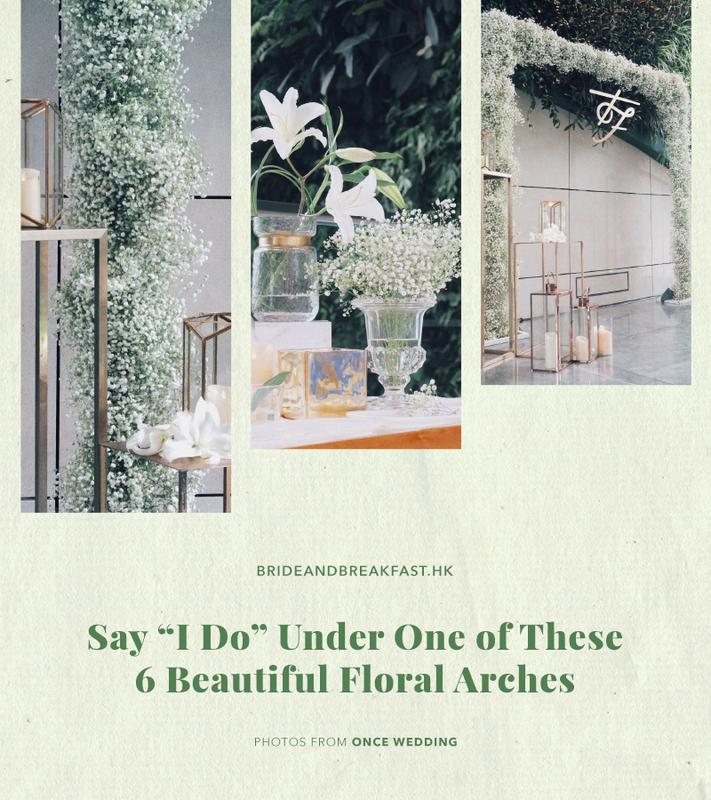 If you love floral ceremony arches as much as we do, then stay for a while to see this roundup we prepared for you! 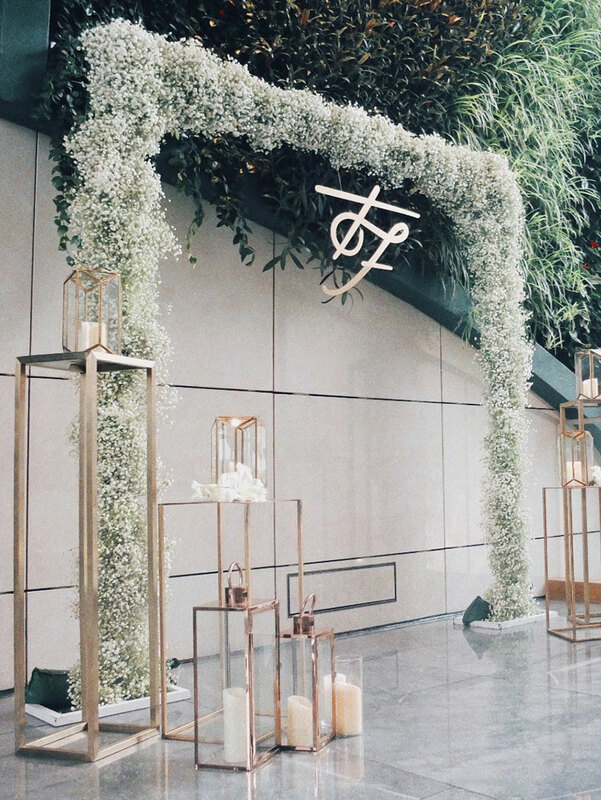 These floral arches are extra dreamy, you’ll be swooning in no time! 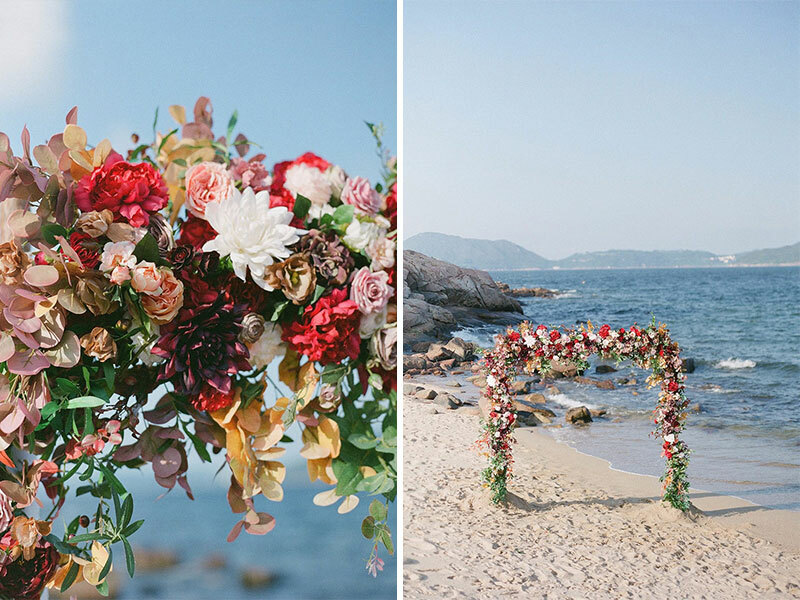 What could be more romantic than a bright red and blush floral arch against the blue sea? 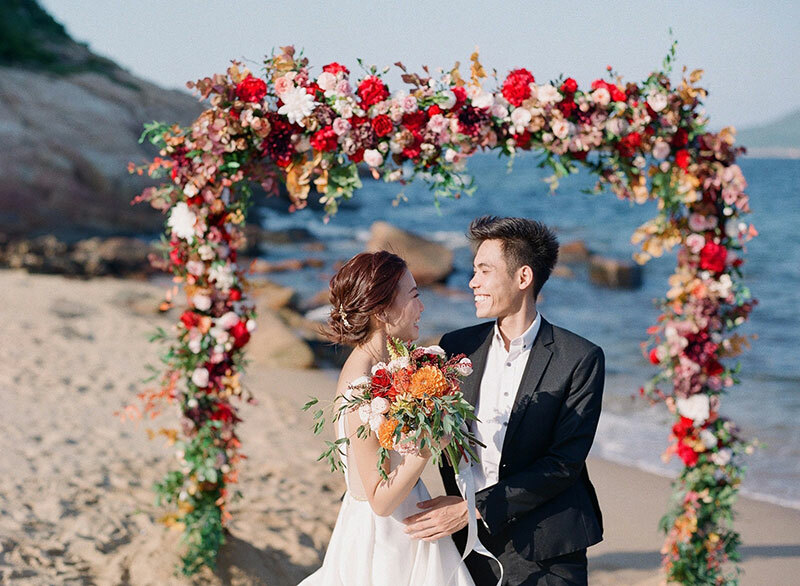 This floral arch made by Pride to Be really pops out and surrounds the lovers beneath them with so much vibrance and color! It’s made with a lot of red and blush flowers from top to bottom, and finished off with a hint of green leaves here and there–the perfect combination of chic and romantic! Boho nets and dream catchers are very popular among brides because these two symbolize having a good marriage. For this wedding, Once Wedding Decoration made sure to raise it up a notch by adding matching flowers, drapery, and balloons. The result? 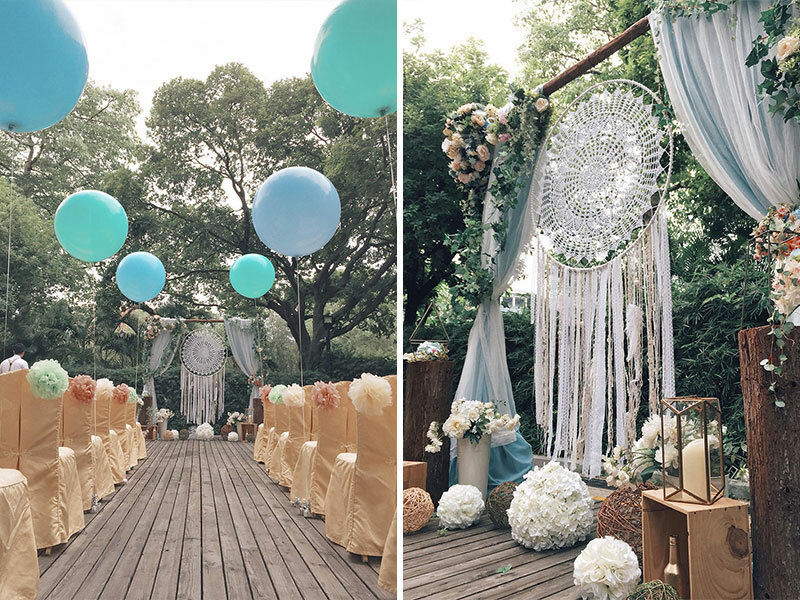 A beautiful blue boho-inspired garden ceremony! When a wreath comes to mind, it’s common to think of a rustic, earthy wedding theme. 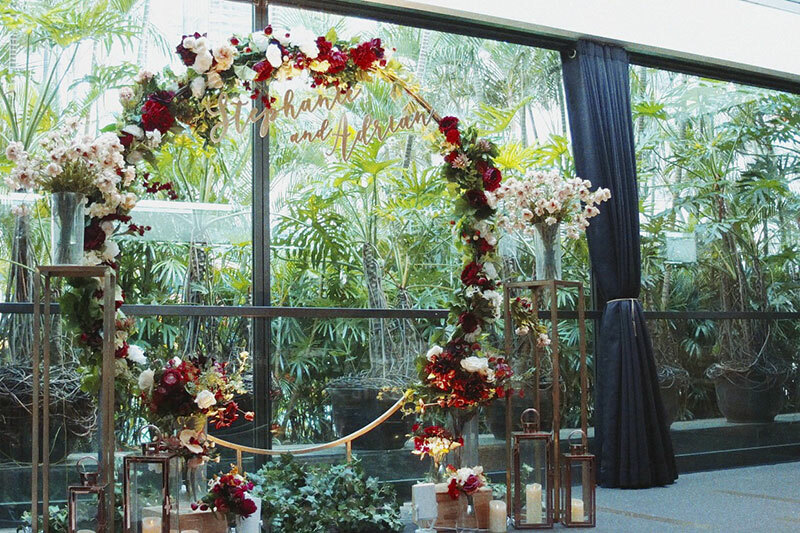 Transforming the common wreath into a modern and stylish wedding decoration, Once Wedding Decoration used a metallic ring base in gold and embellished it with crimson and white flowers. 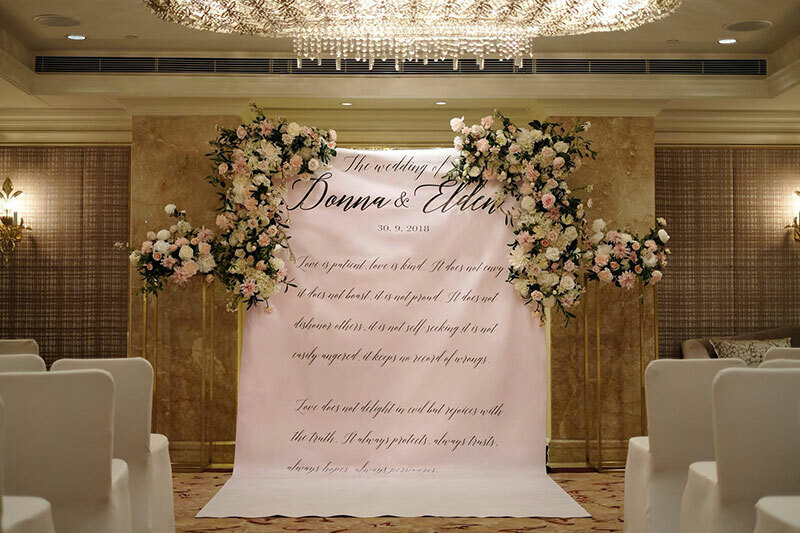 This versatile ceremony arch can also be used after the ceremony as a backdrop at the reception or as a photo wall for picture taking. 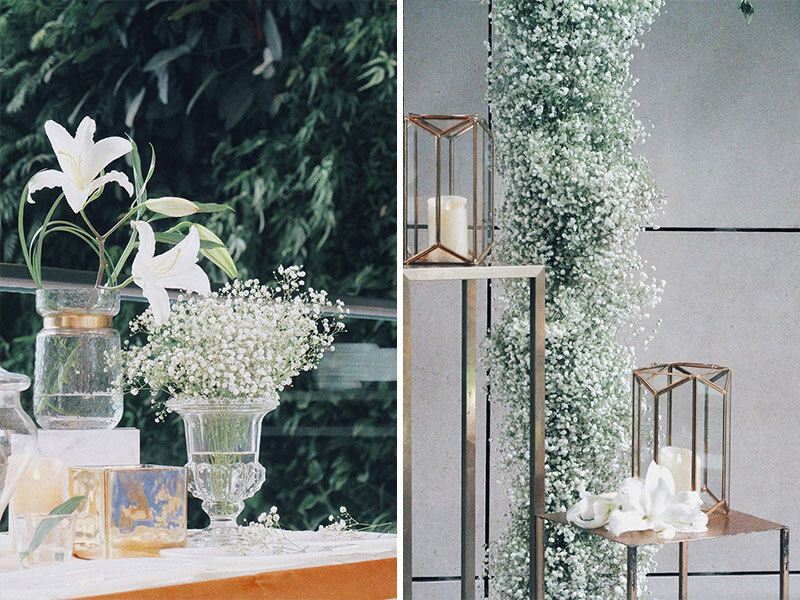 Baby’s breath is a popular wedding flower in Hong Kong. It already looks classy on it’s own but it combining it with white lilies gives any ceremony arch into a fresh and crisp look. While it looks excellent in the outdoors, this floral duo looks just as good indoors. 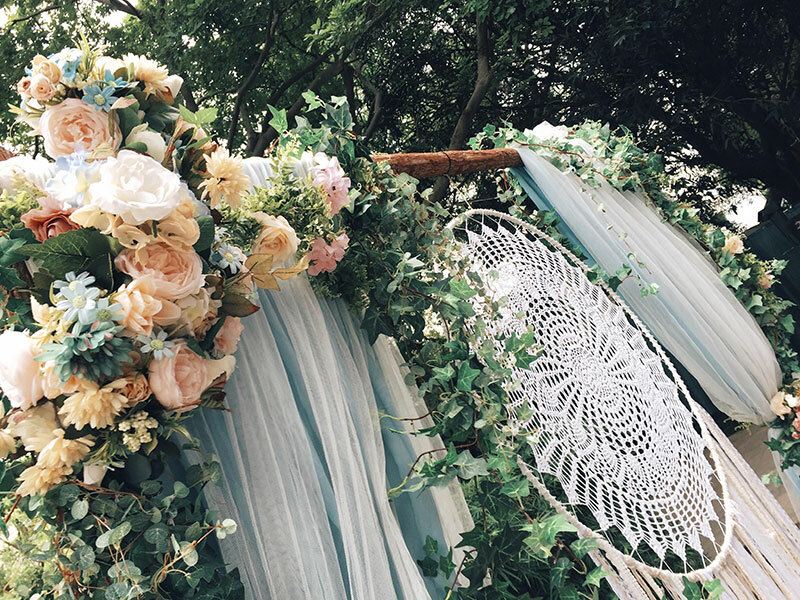 CarrieB Floral and Once Wedding Decoration worked together for this classic piece, and we’re loving every bit of it. We can’t leave out the all-time favorite of brides: the rustic wedding theme. One way to achieve a elegant and rustic wedding is by adding elements that look natural and raw, like this arch made with sprawling branches. 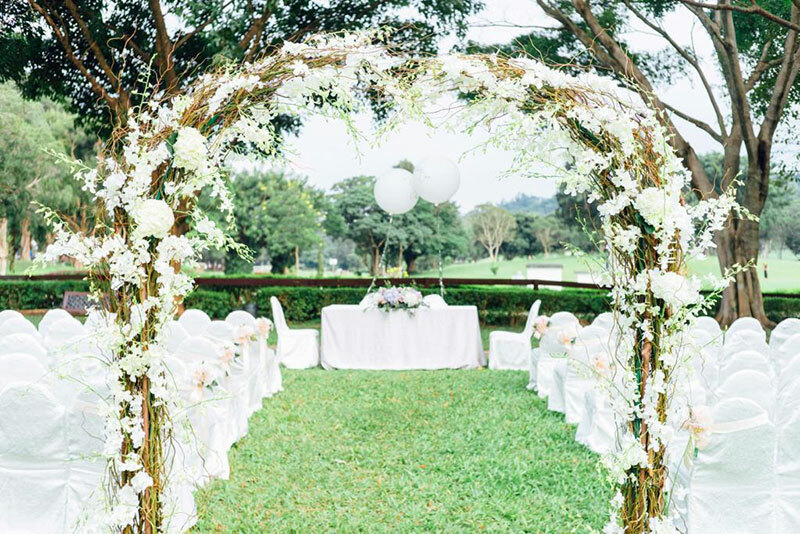 This design by Pride to Be looks extra natural with the branches crawling to the top and, and sparse white flowers accentuating the whole arch. Finally, we have creative floral arch that’s unique and special. More than just having the couples names on the arch, a whole paragraph about love was included in this work of art by Pride to Be. To be surrounded by flowers is one thing, but to be surrounded by words of love brings to union to a whole new level, especially for the couple! What a brilliant idea this truly was!